Full grain cowhide leather. 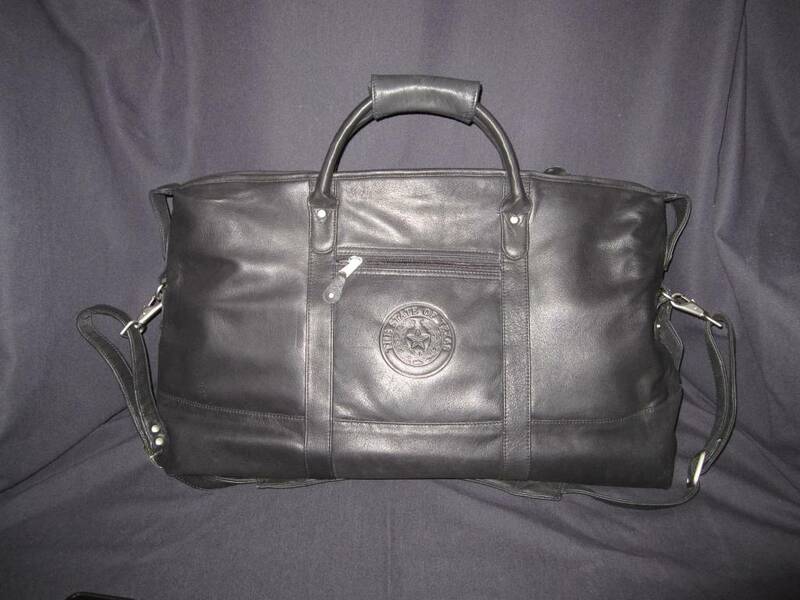 Legal carry-on size, Full leather non-footed bottom, outside zip pocket, debossed with the Texas State Seal. 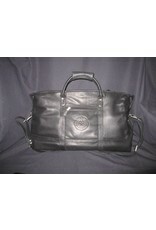 420/PVC backed lining, ergonomic comfort detachable shoulder strap, matching luggage tag. 22” (w) x 12” (h) x 8” (d). May be personalized. For more details, please call 512-476-1181.